Ships tomorrow if you order in the next 17 hours 38 minutes. 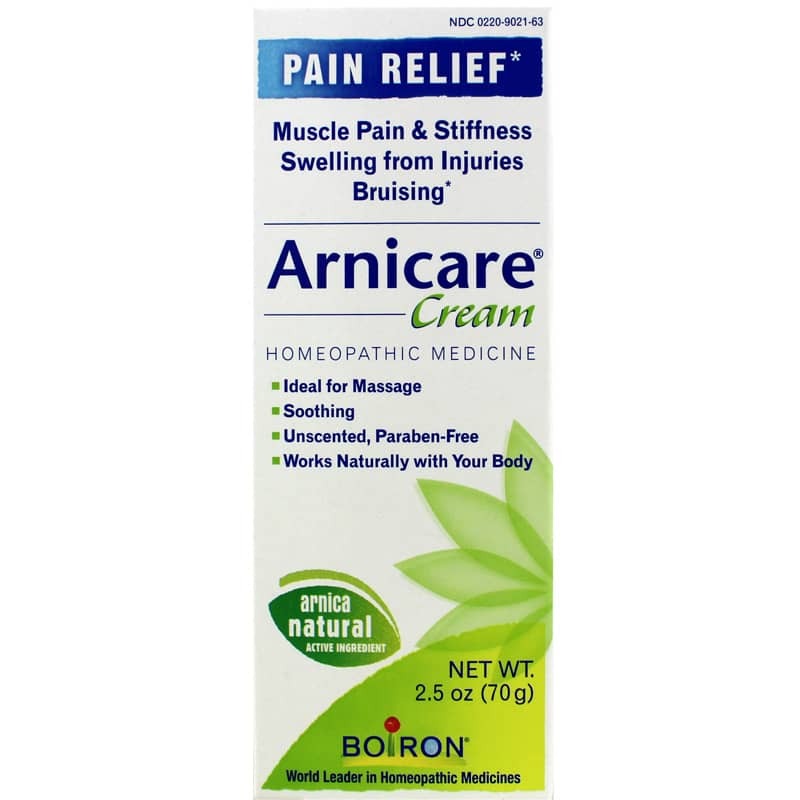 Arnicare Arnica Cream by Boiron is non-greasy homeopathic pain relief product that works naturally with your body. It has a smooth texture that is great for massaging into sore muscles. It can be used to provide support for relieving muscle aches and stiffness due to minor injuries, overexertion, falls and blows*. 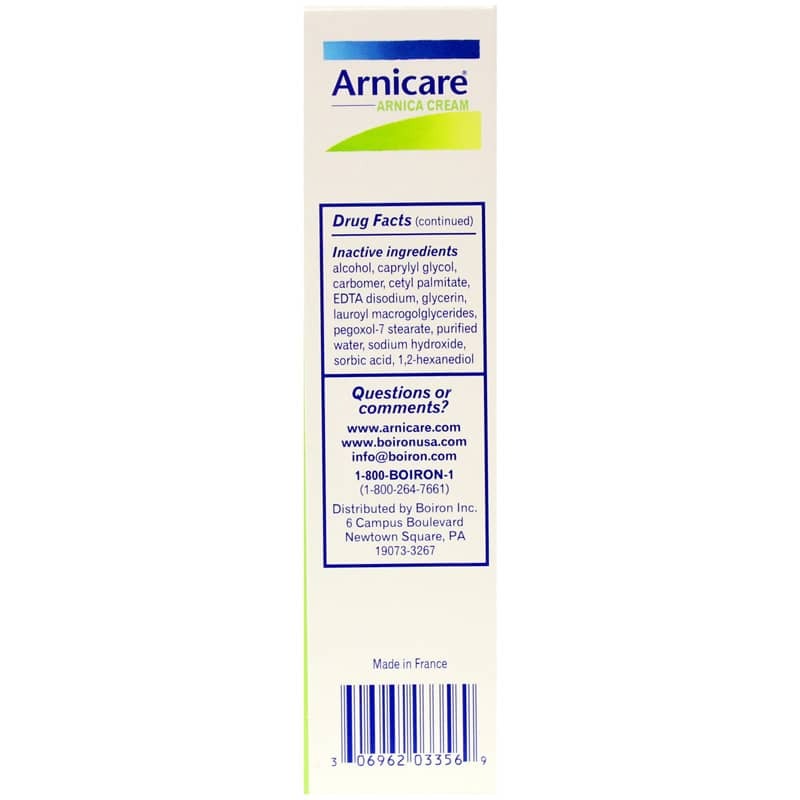 Arnicare Cream is also suitable for use on the face, which is why doctors and pharmacists recommend it in more than 25 countries throughout the world. * Generations of athletes, trainers and parents have enjoyed the relief Arnicare provides. 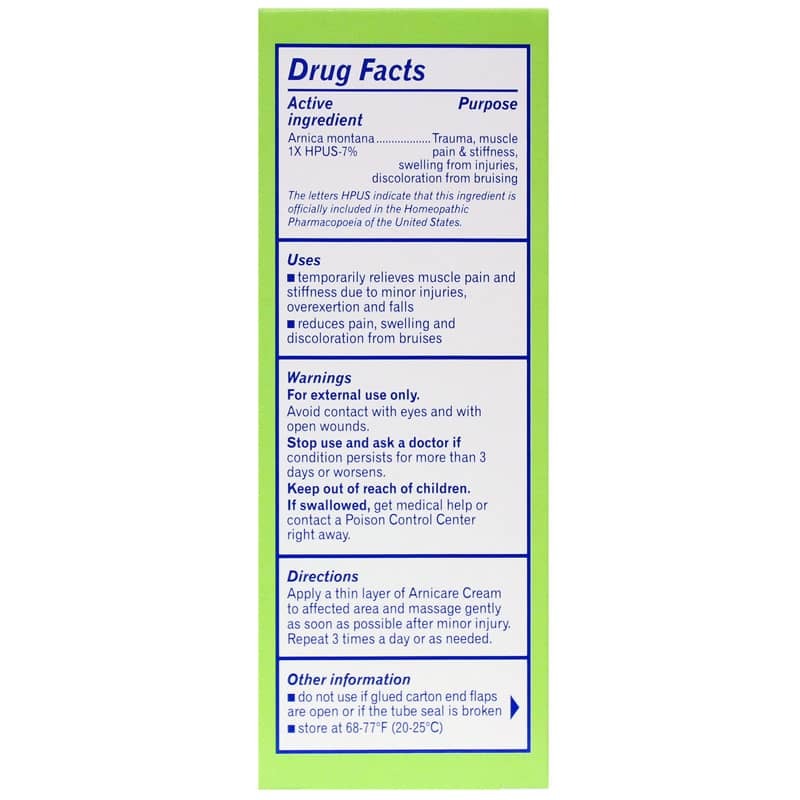 Inactive Ingredients: purified alcohol, caprylyl glycol, carbomer, cetyl palmitate, EDTA disodium, glycerin, lauroyl macrogolglycerides, pegoxol-7-stearate, purified water, sodium hydroxide, sorbic acid, 1.2-hexanediol. For external use only. Avoid contact with eyes and with open wounds. Stop use and ask a doctor if condition persists for more than 3 days or worsens. Keep out of the reach of children. If swallowed, get medical help or contact a poison control center right away.